Whether you need a ride to Charleston International Airport (CHS) or a private car service in Charleston, SC, Going Coastal Transportation is ready to help. Going Coastal offers a fleet of town cars, sedans, SUVs, shuttles, limos, and coaches to service all your travel needs in South Carolina. Reserve a Going Coastal limousine today! Our luxury car services in Charleston are the perfect alternative to taxis and shared ride services for perfect night out on the town. Going Coastal Transportation is your best choice for reliable, safe chauffeur drivers in South Carolina. From executive transportation to private leisure travel, we have the luxury car service for you. We provide airport cars, private charters, night out car services, and event transportation in Charleston, Isle of Palms, Mount Pleasant, Daniel Island, Folly Beach, Summerville, Goose Creek, James Island, Seabrook Island, and more. Popular event car services in Charleston include Southeastern Wildlife Expo, Charleston Fashion Week, and concerts at Volvo Car Stadium. Ride to events in luxury with our limo services in Charleston, SC. We can provide everything from event transportation to airport transfers to hotel car services in Charleston. Reserve a hotel limo today. 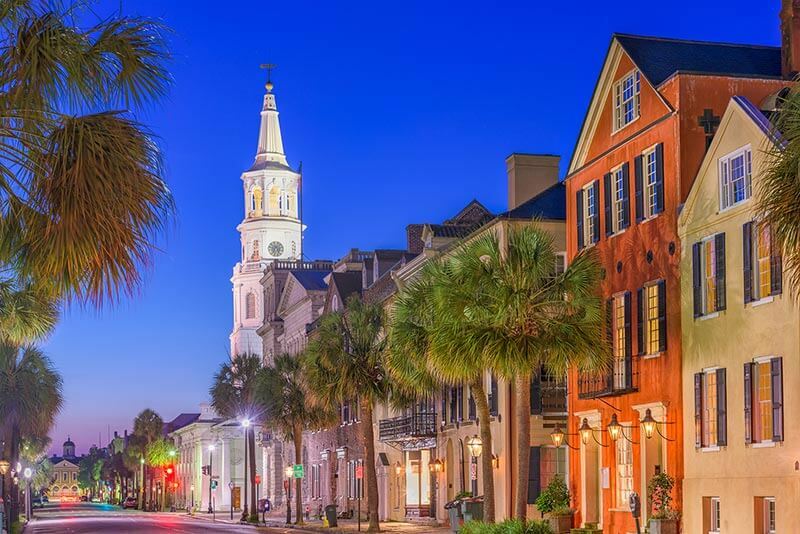 Some of the favorite hotel destinations in Charleston include Belmond Charleston Place and the Embassy Suites by Hilton in Charleston’s historic district. To reserve limousine in Charleston, call 1-843-216-8483! Our chauffeurs know a little something about Southern hospitality, and will provide the friendly and reliable service you’ve come to expect from Going Coastal. Our professional drivers offer world-class service, from airport transfers to group transportation. Our coach options in Charleston include minicoaches and motorcoaches that can fit up to 55 passengers! Other Going Coastal Transportation services include destination management, executive transportation, wedding shuttles, and golf outing transportation.